Home Breaking Bitcoin News Blockchain The first marriage contract on the Blockchain! In Graz (Austria) the first marriage contract with smart separation of property was sealed by Blockchain. However, the entrepreneur Lukas Götz and his wife had to become a notary despite their innovative approach. For it still requires a physical document to regulate the legal status and division of property. However, the paper contract refers to the “Smart Wedding Contract”, which in turn is linked to two Ethereum Wallets. So new assets can be added and immediately separated according to shares. The smart wedding contract was technically implemented by the groom’s company, Block42. According to Götz, the advantages of a smart wedding contract are that he can constantly grow with marriage. Accordingly, assets such as a car or a house may be added or removed on an ongoing basis. 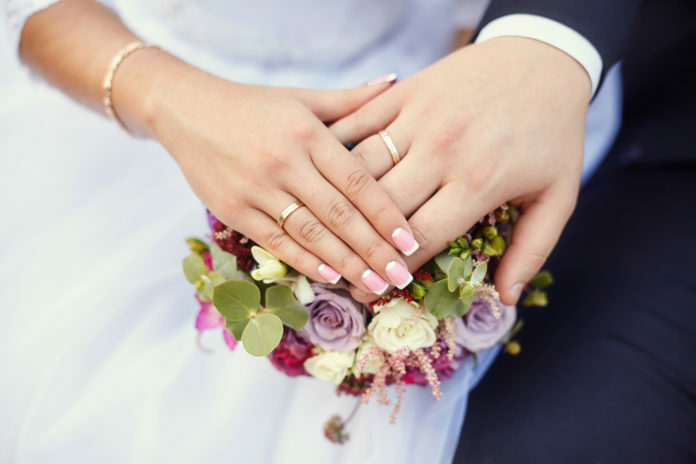 In addition, the “dynamic” Smart Wedding Contract share ratios of the assets can be regulated. The contract is not only “dynamic”, but also characterized by its transparency. 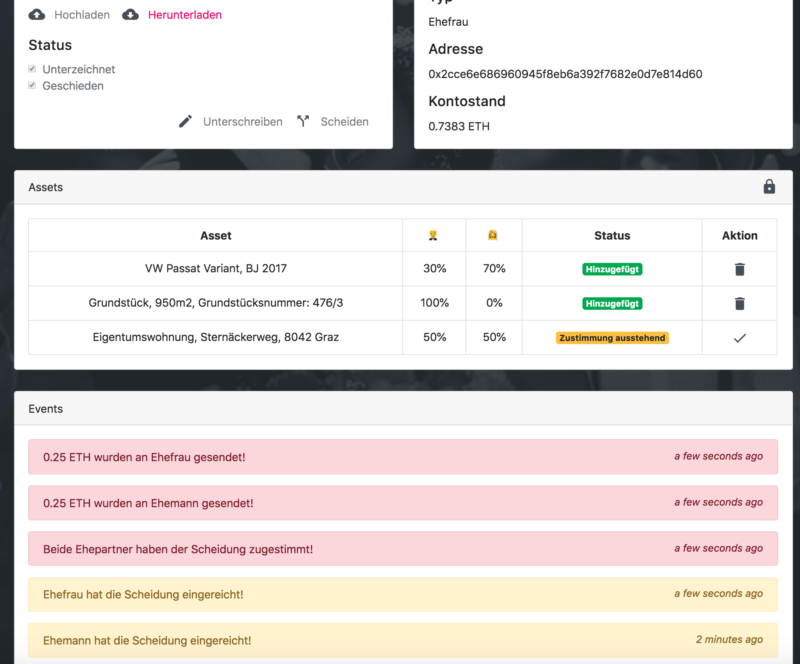 According to Götz, every deposit and withdrawal is automatically logged by the system. However, the Smart Wedding Contract is not just about saving money in the event of a divorce. Rather, Götz wants to show what potential the blockchain technology could offer for other types of contracts. “We believe in technology and that it will become the standard for all types of contracts in the future. The blockchain-based marriage agreement shows what is possible and how we can use the technology to handle everyday legal matters, “says Götz. However, Götz and his wife were not spared the road to becoming a notary despite the Smart Wedding Contract. Under current Austrian law, a physical document – that is, a classic marriage contract – is still needed to have legal effect. Only in this way can a court finally decide on the distribution of goods in the event of a divorce However, the content of the marriage contract refers to the Smart Wedding Contract. In the future, so the hope of Götz, also the blockchain-based contract will be binding. 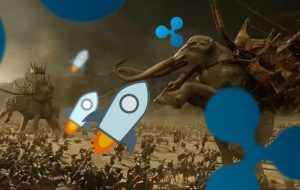 Previous articleIs the Stellar/Ripple Rivalry Overblown?